The nine word primer for the beat-em-up incarnation of Phantom Breaker is this: combo-heavy strategic fighting in a colorful anime world. The series started out as a traditional one on one fighting game but soon morphed into the Battle Grounds story brawler we have today. Co-op has been an integral part of the experience since the early days. Online co-op has been buggy and unreliable (or non-existent in the case of the PC version), so with any luck the PS4 release will fix things once and for all. Newly arranged music: Now leveled up by the PS4! 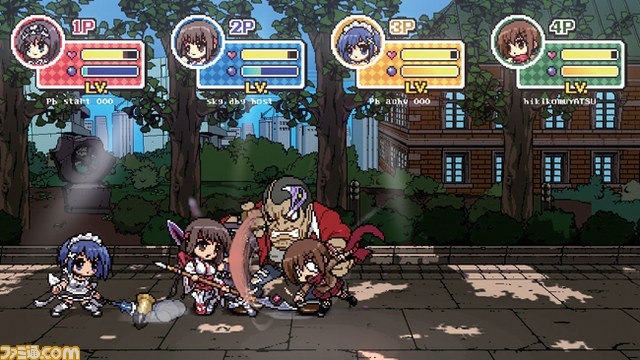 Keep an eye out for Phantom Breaker: Battle Grounds Overdrive on PlayStation 4 this summer. Page created in 0.8685 seconds.